In the mid of winter, there is no better way to warm up than with a good (and I mean really good) cup of hot cocoa. I'm not referring to the instant powder stuff out of a can, but rather creamy, rich, indulgent, tasty, warm, and carefully crafted hot chocolate. I’m talking about the type of hot chocolate that you savour and cannot recreate at home. This is something that feeds your soul and melts your food-loving heart...something that only artisan crafters can bring you. What Exactly is the Vancouver Hot Chocolate Festival? The Vancouver Hot Chocolate Festival is the “dine-out” for hot chocolate and runs over the span of three weeks (until Feb. 14). 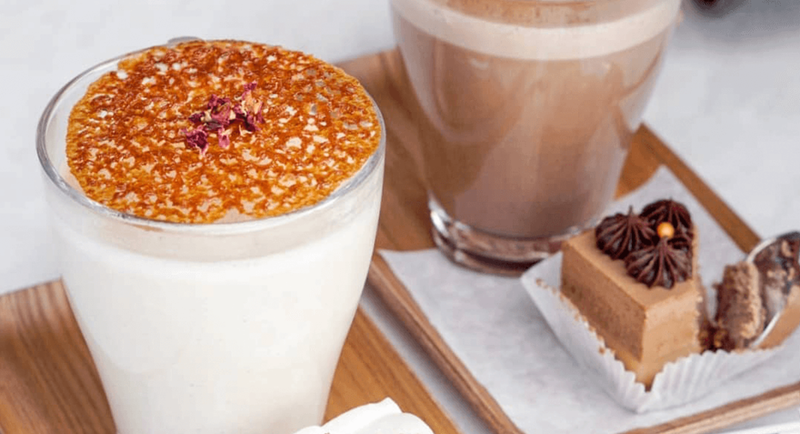 Every year, 30+ vendors (some of Vancouver’s best-known coffee/dessert shops, chocolatiers and dessert places) add one, or more, specialty, limited-time only, hot chocolates to their menu. These special beverages are carefully thought out, cleverly-named, and created to perfection. For the vendor, it is an opportunity to do something fun and innovative with this beloved beverage or play up certain flavours. Perhaps mixing it with matcha, or spices, or infusing it with nuts or fruit! For the foodie/beverage lover, it gives us an excuse to a) visit the artisan shops b) experience different flavours that can be incorporated into a cup of cocoa, and appreciate how it can taste and make you feel. Let’s Try Some Hot Chocolate! In my experience, no two hot chocolates during this festival, are alike. This year has been no exception. In fact, this year the flavours have been unique and extremely creative, more than ever before. It goes beyond just aesthetics, in my opinion. I was drawn to flavours described in the name more than anything; this is how I picked my first set of go-tos (see below). While I don’t ever make it to all of them during the three weeks, I do try to create a list of ones I must try. First on my hit-list, as it alternates between weeks of offering two out of four creations. Each comes with a trading card, collect all four for a chance to win two dozen minis. Each hot chocolate is paired with a complimenting piece of cake as well. Also, each hot chocolate is inspired by a country. Not like you need an excuse to visit this gem of a chocolate shop, however, if anyone knows chocolate, it’s the world-famous Thomas Haas. Each beverage is perfectly frothed and comes with a treat (a cookie or a cake), as well as a specific chocolate creation. You can drop the chocolate into the beverage and enjoy, inside that chocolate is marshmallow or chantilly goodness. Delicious to the next level! Chocolate arts takes chocolate to new heights. They are adventurous with their chocolates, so it was no wonder I had to try their creations for this year’s festival. Each comes with a small treat and is decorated with a beautiful mounted chocolate piece of art, or good ol’ whipped creme. Everything is made with handmade, in-house, chocolate. Though not my favourite of those tried, they are without a doubt pretty, loaded with flavour and delicious. On the more down-low side of it, however, I do advocate often for simplicity, this place will not disappoint. Offering a vegan option, and each beverage being paired with a choice of chocolate donut, you are getting the most “bang for your buck” while also drinking a truly delicious and pleasing cup of hot chocolate. I am not stopping yet. We have until February 14th to try as many as possible, with good reason...so far they all have been extremely different from each other. Truly. The following are next on my personal list, mainly because I have a) either heard they are good or b) those flavours listed intrigued me most. Their ice creams are infused with the flavour intended to perfection, quite literally “nailing” it. So I’m curious about their take on hot chocolate. I truly love their chocolates, being made with no preservatives and in small batches. I can imagine them making a stellar hot chocolate as well. However, they are participating only until Feb. 12th (so have to head there soon). Their artisan-style gelato is delicious, and they encourage you to try everything and enjoy the experience, so my gut tells me they will take the same approach to their hot chocolate. There’s still time to enjoy these specialty hot chocolates! Although the Vancouver Hot Chocolate Festival officially runs until February 14th, some vendors may offer a different flavour or halt their participation early. See the full list of vendors to go along with your monthly adventures for the best fried chicken or ramen in the city. Christina is a local freelance writer/blogger, passionate about exploring cafes and eateries in Vancouver. 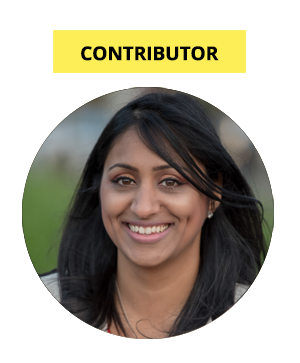 Her passion for food stems from her educational background in Food, Health and Nutrition from UBC. Christina is also a mom to two toddlers, who you may often see her with grabbing "coffee" on Main Street.